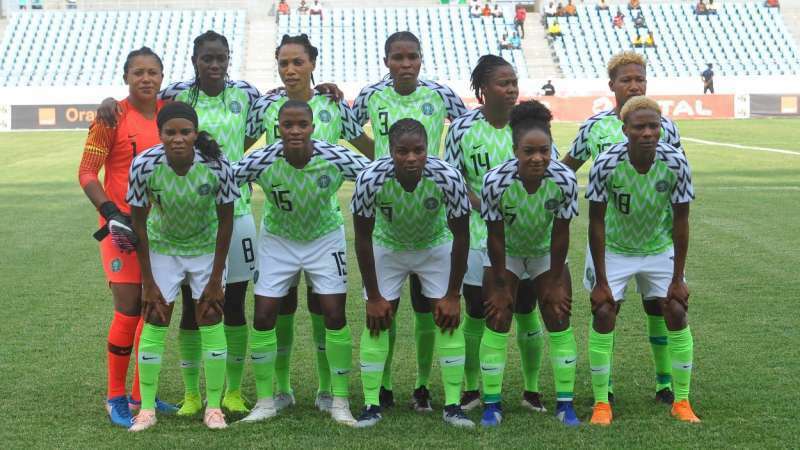 Nigeria’s senior women football team, Super Falcons dropped to 39th spot in the last FIFA women ranking for 2018 released, yesterday by the world soccer governing body. The Super Falcons went into the 2018 Africa Women Cup of Nations as the 38th best nation in the world, but a record ninth title-winning feat in Ghana failed to save them from moving a spot down. At the biennial women’s football event, Thomas Dennerby’s ladies managed four wins and a defeat in five games that ensured a qualification ticket to the 2019 Fifa Women’s World Cup in France. The Super Falcons commenced their campaign losing 1-0 to South Africa, before bouncing back with a 4-0 win over Zambia, followed by a 6-0 win over Equatorial Guinea to progress from Group B. Having advanced, they edged past Cameroon and Banyana Banyana on penalties in the semi-final and final respectively to retain the coveted continent’s crown for the third time in a row. Even with the slip, Nigeria are still the best nation in Africa, while Awcon third-place winner Cameroon rose three places to 46th, while runners-up South Africa climbed two spots to 48th in the world. On Saturday, Nigeria alongside other African representatives will know their fate as regard, who they will be facing in the preliminary stages at next year’s quadrennial event in France.